Belgium is a country of great beer and there is no better way to share the beer with others than with a beer festival. And Belgium has many of them. In fact you can expect to find some sort of beer festival happening almost every weekend with some weekends having 2,3,4 or maybe a half dozen festivals. Festivals can range from small town gatherings, to more developed Karakterbierfests all the way to full blown regional or countrywide events. These are the ones I consider to be the best. This is the epitome of a Belgian beer festival. The Zythos fest is a resurrection of the 24 Hours of Belgium Special Beer festival that was held in Antwerp each year by the beer group OBP, Objectieve Bierproevers. Due to some political and financial problems, the 24 Hours was ended in 2002 and the OBP was disbanded. In March of 2004, the first Zythos festival was held to a large crowd of thirsty beer lovers and has continued to grow each year. Zythos has been held for many years in St. Nicholas, but they outgrew the hall there and have moved to Leuven in 2011. It is now held in Leuven in late April. For any lover of Belgium beer, this is an event that one should attempt to attend at least once in their lifetime. Although this festival has only been around since 2007, the group that organizes it has done an excellent job of it. The festival was originally held in the great belfry in the center of Bruges and for several years was held in the Beurshal in Bruges located at Hauwerstraat 3; but as of 2017 has returned to the Belfort with an additional tent erected on the marketplace. This festival features over 450 beers and also has some top quality food booths including a gourmet cooking class during show hours. 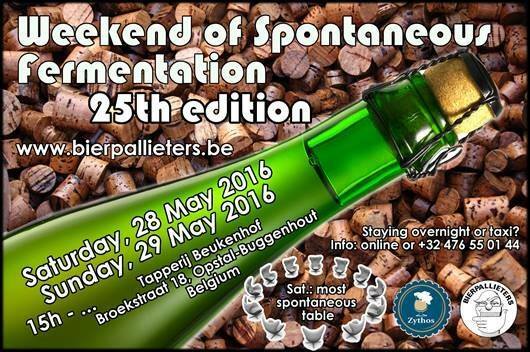 Another exciting feature of this event is that all the Trappist beers are available, including Westvleteren. The BAB Bruges Beer Fest is held the first weekend in February. This is another world class event and another event that any Lambic/Gueuze lover should try to attend at least once in their lifetime. It takes place in April every other year and is usually the Friday before the Zythos beer festival. The first event was in 2004 and 800 beer lovers attended; 2006 about 1600 people; 2008 1300 visitors & in 2010 some 1650 attended. 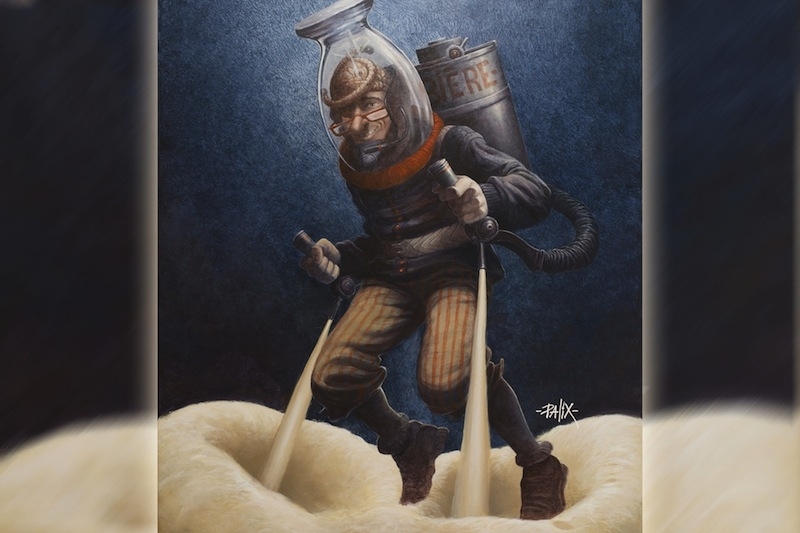 One visitor out of 4 comes from abroad with a average 300 coming from the United States and Canada.. for several of the last three events, many well-known U.S. brewerswere in attendance serving some of their new lambic style creations. The Le Week-end of Bieres Speciales started in 1993 and the annual event is normally held the last week-end of February. This is a fantastic festival that is totally out of the ordinary. Sohier is a small village of 140 wonderful people near to the town of Wellin in the foothills of the Ardennes. This is not your typical Belgian Beer Festival as tourists rarely attend it. In fact it is really a regional affair, but does draw a huge crowd. The festival starts on Saturday around noon and features a Beer Exchange, where numerous locals bring beer glasses, coasters, signs, bottle and can openers and other items of brewerania. The exchange lasts until mid-afternoon and a short time later the band begins and so does the REAL festival. The festival runs Saturday from Noon until midnight and repeats Sunday from 10AM until 10PM. The festival features over 150 different beers. A unique feature of this festival is that you are not relegated to 2-5 ounce samples. When you place your order, you receive full bottles of beer; some 25 cl., some 33 cl., some 50 cl. And some 500 and 750 ml big bottles. My first visit in 2002 and it was an adventure. Since there was a large crowd at the order areas, I handed the server a list with 6 beers on it. A few short minutes later I was presented with 4 regular bottles and 2 large bottles of beer. Since there were 33 different beers I had never tried, I did not want to start by drinking big bottles. So after filling our glasses we passed the bottles to the people at the table behind us. They did not quite understand why we were trying to give them our beers, but after some meager attempts at translation, they understood and accepted our ‘gift’ happily. Unfortunately, a few minutes later, they re-gifted us with an additional 3 bottles of beer. Then the people down the table, who had been observing, passed their partial bottles down to us. We had created a monster! And it did cause some damage before the evening was over. I should mention that out of a festival hall with perhaps 300 people, only 2 spoke a very minimal amount of English. And we spoke virtually no French. Luckily we spoke the International language of beer. We had an excellent time and I have been to the festival 5 times now. The ‘Christmas Beer Festival’ is usually held the 3rd weekend in December in the town of Essen which is about 20 miles north of Antwerp right on the Dutch border. I guess you might be wondering why anyone would want to go to a strong beer festival in the dead of winter in Belgium? Well, it’s so you can go to a beer festival in the dead of winter in Belgium. This is a real treat. The festival is organized and presented by O.B.E.R., the Objective Beer Tasters of Essen Region. This is a small cozy festival and only features just over 180 beers, but these beers are VERY SPECIAL! These are the Belgium Christmas beers. Very special recipes designed for the holiday season and usually very strong. The perfect antifreeze! The Opstalse Bierpallieters organize a great weekend featuring 100 beers of spontaneous fermentation from all of the brewers and blenders of the Payottenland and Brussels. Expect to find creations from the greatest names in the world of lambic and gueuze production including Cantillon, Tilquin, Boon, Oud Beersel, 3 Fonteinen, Lindemans, Timmermans and OWA. This fest also features a very special table with vintages as well as unique creations made exclusively for this event. This fest is a must for all ‘spontogeeks’.. The Beer Passion Weekend is held usually on the third weekend in June and is held at the beautiful Groenplats Square in the shadow of Our Lady Cathedral in Antwerp. There are over 200 beers to sample during the festival which runs Friday from 5 PM until 11 PM and Saturday from 13:00 til midnight and Sunday from 11 AM until 8 PM. This is a great festival . The BELGIUM BEER WEEKEND is a fantastic festival and the location only makes it even better. The exquisite Grand Place in Brussels has beer stands set up around the perimeter for the first weekend each September. The BELGIAN BEER WEEKEND is organized by the Belgian Brewers and the Knighthood of the Brewers’ Mashstaff in collaboration with the City of Brussels. The festival features over 350 beers from over 50 regional brewers as well as many of the National brewers. Beer lovers gather from 6 PM until 10 PM on Friday and from 11 AM until 10 PM on both Saturday and Sunday. Entry is free and beer tokens are sold at a rate of 3 Euro for 4 tokens. Beers are served for a charge of 2, 3 or 4 tokens, depending on the beer. Most stands are tended by the owners, brewers or employees of the respective stand. This allows for questions as to how the specific beers are brewed. September is a great time of year to visit Belgium as the summer is passing and the weather is turning a bit cooler. This festival of very special beers is an annual event in Poperinge and features 100 local Flemish beers, mainly brewed in small quantities. It is usually held the third weekend of October. For many years it was held at The Palace Hotel, when the hotel was run by Bea Ostereux and her husband Guy, but they left the hotel many years ago and now the festival has been held in the Maeke Blyde event hall located at Doornstraat 43. It is one of the unique events as usually the stands are manned by the brewers and owners; not hired staff that is paid with beer. So it is a good way to find out more about the beers and how they are made. #10) BR ASSIGAUME Rue des Prés 11, 6724 Marbehan occurs usually mid to late October. This is another fantastic beer festival that usually includes beers not often seen at other festivals or even beer shops. The vast Belgian region of Gaume, located in the Ardennes has a very specific climate due to its surrounding hills. Some have also made similarities to a Mediterranean climate. This does have an impact on raw ingredients used by brewers, including the quality of the water, malts and yeast (most brewers in the region use yeast from Orval abbey). The beers produced here are comparable to no other place in Belgium. A finite equilibrium between the elements, just like a very nice and balanced wine: an honest explosion of tastes from the very first sips. This is a very unique beer festival as many of the beers served were created exclusively for this festival. It is sponsored and orchestrated by the folks at Alvinne Craft Brewery and more specifically the owners – Marc DeKeukeleire, Davy Spiessens and Glenn Castelein . The festival is a biennial festival, so it is held every other year in the ‘odd’ years the first weekend in March. The festival location is Bierhalle Decononck in Victe. Enjoy over 150 very unique craft beers from numerous artisanal breweries including De Struise, De Molen, Nogne O, Gueuzerie Tilquin, Hair of the Dog and more. I consider this to be another festival every beer lover should attend at least once in their life.